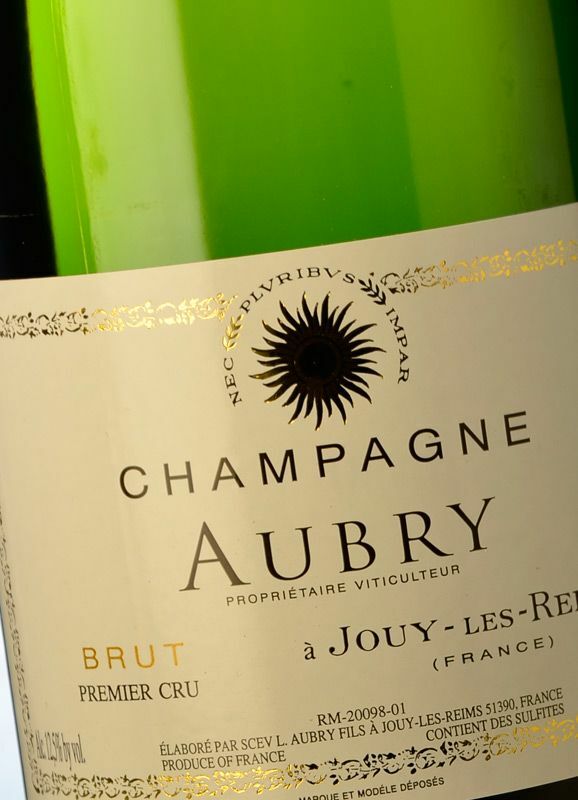 The non-vintage Aubry Premier Cru Brut is a perfect gateway to the wines of one of Champagne's most fascinating producers. 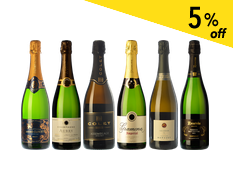 The sparkling wines produced by the Aubry brothers are very expressive and individual, and continue to amaze and delight all who taste them year after year. 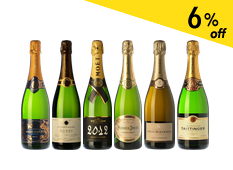 This Premier Cru is a classic Champagne made from grapes of the three historic varieties (with the clear predomination of Meunier, at 60%) and a small contribution from traditional grapes such as the Arbanne, the Petit Meslier and the Fromenteau. Approximately half the wine dates back to a 1998 perpetual reserve, a key factor in understanding the origin of its complexity. The first fermentation takes place in stainless steel tanks and a malolactic is usually favoured in order to mellow the acidity and allow the use of very small amounts of liqueur d'expedition (6 gr./l), thus highlighting the grape's natural freshness. 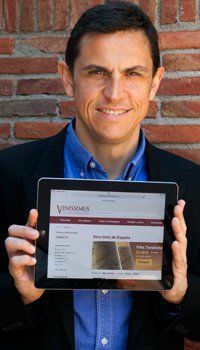 After the second fermentation, the wine matures for between 18 and 24 months on its lees in the bottle, gaining in complexity and becoming more refined as time works its magic. 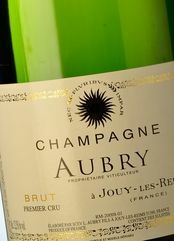 On uncorking a bottle of Aubry Premier Cru Brut, a string of fine bubbles preempts a fresh nose predominately revealing aromas of strawberries, pear and peach, with touches of dried fruits and nuts, cereals and spices. On the palate, the roundness of the Meunier encases a delicate structure and considerable character, exhibiting all the house's finesse and personality. Suggestions of rose petals and mint can be discerned as well as a saline hint. Its subtle finish, long and fresh, invitingly prompts another sip. Fantastic when paired with any kind of aperitif or starter.